Amazing album which some call the holy grail of Brazilian Jazz. 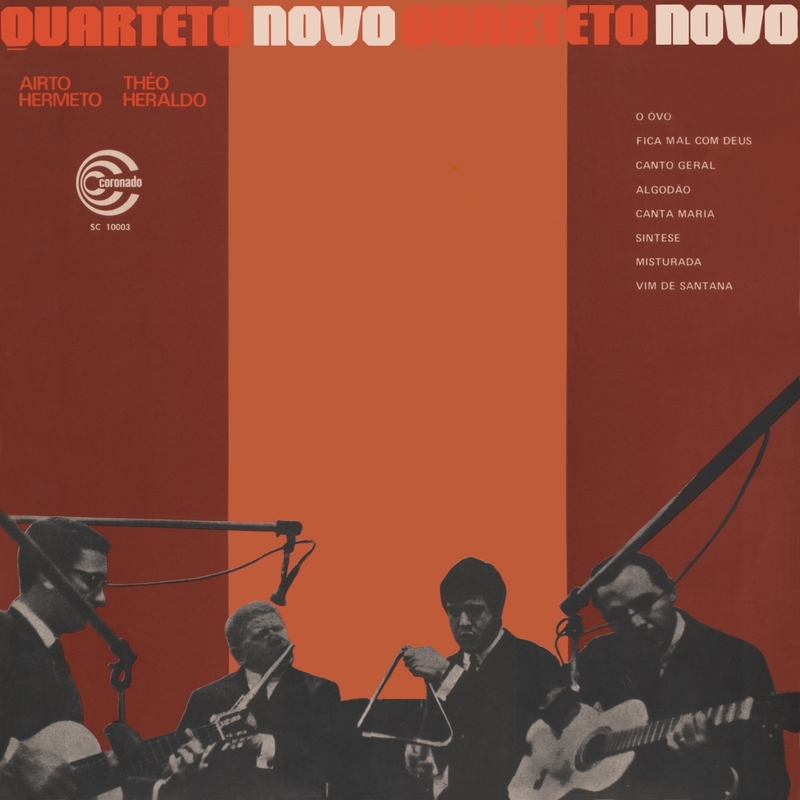 The sole album by the legendary Quarteto Novo was released by the Odeon label in 1967 and was accorded various coveted Brazilian artistic prizes, including the Troféu Roquette Pinto and the Troféu Imprensa. The band was made up of four now legendary Brazilian musicians: percussionist Airto Moreira; bassist, guitarist, and violinist; guitarist Theo de Barros, violinist, violist, and sometimes banjo player Heraldo do Monte (these three musicians all being members of the previous Trio Novo); and later arrival Hermeto Pascoal. Coming from the northeastern part of the nation, all of these men were intimately familiar with baião music, the danceable rhythmic style comprised of a syncopated 2/4 time signature that could be played on the double-skinned zabumba drum and harmonic and melodic structures written around a Lydian flat seventh scale; it is derived from the tuning of the pífano flute, which has a raised fourth and flattened seventh. The chord structure is based on a dominant seventh. And while the style is not well-known outside Brazil, it nonetheless influenced a host of popular songwriters in America, England, and Europe, who scored hits with tunes utilizing the style's elements. (A couple of examples are the Burt Bacharach tune "Do You Know the Way to San Jose?" and "Save the Last Dance for Me," written by Doc Pomus and Mort Schulman and recorded by the Drifters.) 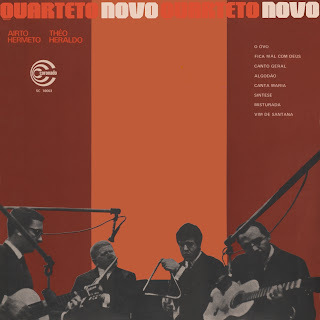 Quarteto Novo -- and their patron and songwriting collaborator Geraldo Vandré -- had a deep, some would say obsessional, interest in American bebop; combine them and you have something very special indeed. Though in many ways, these eight songs sound somewhat quaint to undisciplined in the 21st century, the opposite is actually quite true. This meld of styles and the deep interest in subtle yet innovative rhythmic interplay, counterpoint, and taut song structures are to this day quite revolutionary. An awesome post from you which helped me to know some important tactics about novo, You doing great and please don't stop it. It's one of the best albums I've heard in my life! Thank you for the post :) I hope to know much more of LPs like this. Greetings from Poland!